Arizona Shooting Fallout: Calls for Truth? There’s been lots of discussion the past few days about violent rhetoric in the nation’s political realm. 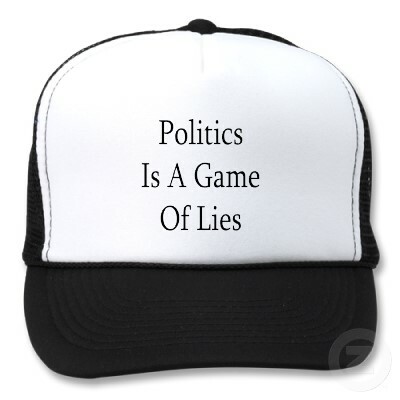 Is the message on this hat more dangerous than violent rhetoric? Whether or not such speech contributed to the Arizona shooting spree, people are debating if and how we should tone it down. One thing I hadn’t thought of until President Obama brought it up last night is the subject of honesty. I was reading Andrew Sullivan’s Daily Dish blog, and found some comments from a reader on this subject. I don’t know who wrote the comments, but they make incredible sense. ….in his quote, Obama has raised the stakes even higher: the unintended consequence of dishonesty in our public discourse – death panels, socialist conspiracies, faux deficit reform, climate change denial – is not merely the threat of fringe violence, however horrific, but the failure of our nation to face up to the many challenges history has now placed before it. Obama is calling for more than civil discourse, he’s calling for honest discourse – and for immensely higher stakes. So thank you to Wright, and the anonymous Daily Dish reader for being guest writers in this blog. Please feel free to add your two cents, readers! This entry was posted on January 13, 2011 at 8:25 pm and is filed under Uncategorized. You can follow any responses to this entry through the RSS 2.0 feed. You can leave a response, or trackback from your own site.